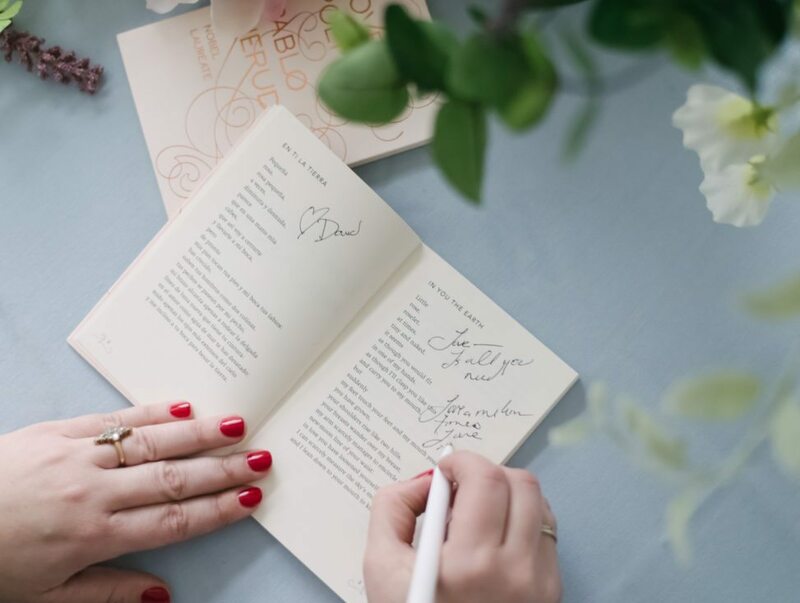 If you’re looking for creative wedding guest book ideas, it turns out that the internet does… not really have you covered. A few months ago, I decided to round up the best wedding guest book alternatives the internet had to offer. So I hit Etsy, which is normally the purveyor of good things. But as you might know, if you’ve started looking for wedding guest book ideas, when you get past the more traditional options (which we’ve already rounded up for you here), the going gets… grim… and very, very rustic. Full disclosure, we did not have a guest book at our wedding. 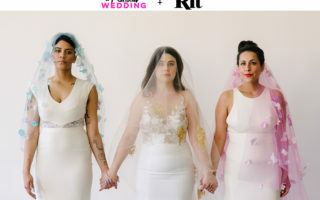 It wasn’t really a conscious decision, but in the wild shuffle of putting together a DIY wedding, it was never something that crossed my mind. And nine years later, I would love to have guest book on our shelf. (I mean, #noregrets, but still.) In the years since, we’ve lost my father-in-law, my Grandmother, and more than a few other wedding guests. I wish we had a place where we’d gathered all the love notes and signatures from that one, bright, beautiful day when we were all together. But if I had to do it all over again, I’m not sure I’d do the traditional guest book route. Instead, I’d want to find a way to gather all those love notes and memories in something that was a beautiful keepsake that we could leaf through for years to come. But also, at the end of wedding planning, money was tight, and we were not about to invest in any kind of $250 guest book. 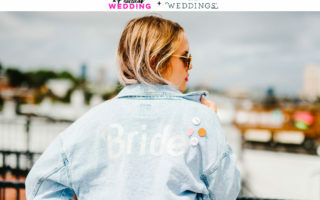 So because we consider our job to be the wedding laboratory of the internet, we set to work coming up with cute, affordable, and really low-effort options for those of you looking for creative wedding guest book ideas. I love what we came up with, from metal prints to cheater (and cheap) art books. I hope this provides some inspiration for collecting all those signatures of your beloveds, while they’re still here with you. For those of you who had creative wedding guest book ideas, what did you use? What half-baked wedding guest book alternatives are you thinking of that we can help you figure out? Hive mind, let’s do this.